1 WHAT IS AN MBA ESSAY? 2 HOW TO WRITE MBA ESSAY? Introduction - intrigues the reader and outlines a scene. Body - tells a story that had a serious impact on your life. Conclusion - shows why you belong to a certain business school, and the way it will help you in future. There is no template that can help you in MBA essay writing, as the structure depends on the way you write a narrative. You will have to organize your paper intuitively while writing and separate paragraphs logically. However, you can always use the help of a professional MBA essay services. And, as Pro-Papers is one of the best in the sphere, you can trust it with your application. Our writing experts can easily present your story in the best light to make you the most demanded candidate for a spot in a top school. Hence, if you are looking for someone to “write my MBA essay professionally,” why not choose Pro-Papers? Order your paper from us and pass an application process successfully. The Master of Business Administration program becomes more popular among the post-graduates every year. Therefore, a flow of applicants increases dramatically, and it becomes even harder to enter the desired school. Some of the best facilities have hundreds of candidates for one spot, and it is only up to you whether you will be noticed in the crowd. Yes, your GPA and GMAT scores will matter. However, there may be thousands of other people who have better or nearly same results. And your only way to make it through is an essay. Most of the documents you send to the school tell admission officers about your academic background and work experience. They do play a great role while making a choice, but they do not tell anything about your personality. Admission committees certainly want their applicants to be smart, but they also need people who will bring something new and unique to their classes. Therefore, your paper needs to show how creatively and seriously you approach important things in life. The paper has to focus on a certain event, turning point or decision that have influenced you and changed the way you see the world. If nothing like that ever took place, it is still important to find a theme to hold on to in the paper. Although there might not have been a grand moment in your life, there are still some small and memorable ones that affected you somehow. You can choose a few interesting or even funny moments that show what you have been through, how you acted in certain situations, what your biggest desires are, and so on to present yourself from the desired side. Writing a paper, you will need to show your strong sides, skills, and knowledge. However, you cannot simply claim how great and qualified you are. It is crucial to support everything you say with examples, which demonstrate your character. After reading your paper, admission officers have to understand clearly what motivates you and what values you have. They need to see that you are a real person with your own weaknesses, who is willing to overcome them and accomplish great goals in the future. Professionals also advise speaking about your talents and unusual hobbies in order to show how different you are from other applicants. Do everything possible to demonstrate uniqueness, creativity, and dedication and such approach will be appreciated. However, the narrative is not the only thing to pay attention to. There are a lot of silly mistakes applicants make while writing. Some of them simply fail to follow the directions. If you are asked to send an essay of 500 words, for example, you need to try to make the word count as closer to this number as possible. Also, a writing assignment usually goes along with a topic, which in some of the cases is a question. Your work should not necessarily stick to it the whole time, but it is important to have a clear answer somewhere in the paper. When admissions see that you can follow these requirements, it becomes evident that you will be able to do the same during your studies. The last and one of the most important parts of this whole process is editing. That is the point where good MBA essays are being turned into great ones. It is necessary to proofread the final paper several times to polish it. It is also recommended to ask someone to go through your work to find the mistakes you have not noticed. 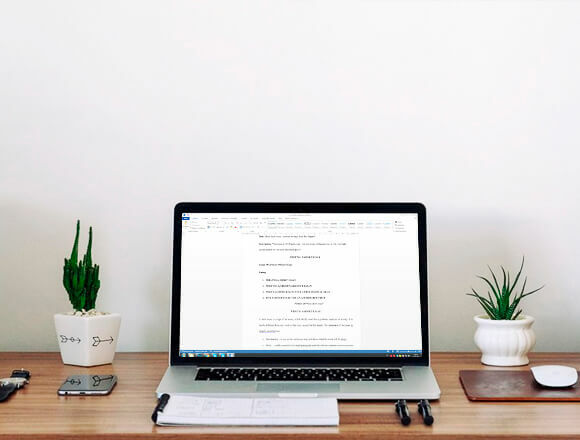 If you do not have anyone in mind, you can always look through a few MBA essay editing service reviews and find some companies that can help you with proofreading. If you find it hard to trust them, ask your peers whether they have already used any services of such kind, and maybe, they will suggest a few reliable options. Although, it is not necessary to spend so much time searching and asking, as you can always turn to the best MBA essay review service for help. Pro-Papers has a team of experts who specialize in creation and correction of admission works, which means that your paper will be polished by professionals in the sphere. And you do not even need to ask your peers about us, as they have most likely already left feedback on our website! Our best MBA essay editing service is always glad to proofread and edit your work to ensure its quality. So why hesitate? Let the Pro-Papers experts make your admission paper appealing and faultless, and help you get into the program of your dreams. A Master of Business Administration program exists not only in English-speaking countries like UK, US, Australia or Canada but all over the world and it keeps spreading further each year. However, you may want to apply to one of the top schools, which are based in the above-mentioned countries. Therefore, you have to find a professional helper to make your admission essay flawless and competitive. And you may not know it yet, but you have already done it, as you are on the page of the best MBA essay writing service in UK and US right now. Pro-Papers is a company that has been specializing in academic and admission writings for years. We have a team of experts, who have written numerous application essays successfully and who are able to provide quality MBA essay help. Many of them have worked as admission officers and know exactly what schools are looking for. Whether you need a paper review service or a writing one, Pro-Papers is the ultimate choice. Hence, if you have already prepared the work on your own, you can always perfect it with the help of experts. Our specialists are familiar with necessary standards and requirements, which help them prepare great MBA essays for all the applicants who need their assistance. They approach each application individually and will do their best to make yours rise you to the top. Looking for the experienced MBA essay writers? Pro-Papers has a team of hundreds, who are always ready to work on your writings! There is no need to plod over the application for months when you can leave it all to professionals. We offer you a chance to experience the best service for the most affordable prices. Our support team is online 24/7 and ready to answer all of your questions. We will help you through the whole process from the order placement and up to the delivery. Make yourself comfortable and leave the burden of paperwork to us. Pro-Papers is here whenever you need help with MBA essays, so do not hesitate and make your first step to an education of your dream.